Dr.Kuffel is a pilot and retired ER physician who lives in Montana. 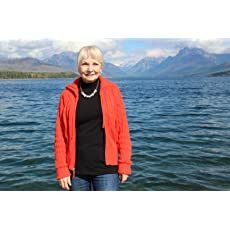 Medical and wilderness experiences, dog sled racing in Alaska,and surviving a plane crash in the mountains of Idaho fuel her writing. Please enter your email address and click the Follow button to follow Betty Kuffel MD! A science-based explanation of current methods of birth control, sexually transmitted diseases and treatments as well as advice on what to do in the case of sexual assault.